Shower April with joy and good memories! 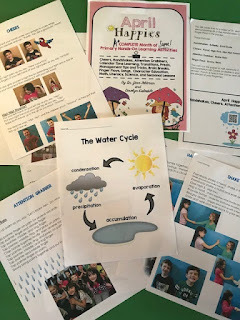 We want to “shower” you with a “downpour” of fun ideas in our April Happies. It’s interesting that SEL (Social Emotional Learning) is receiving so much attention now because that’s exactly what Carolyn Kisloski and I have been preaching about and trying to nurture with our HAPPIES each month. Teachers and children need to find the JOY of learning together. Each child needs to feel loved, capable, and accepted. 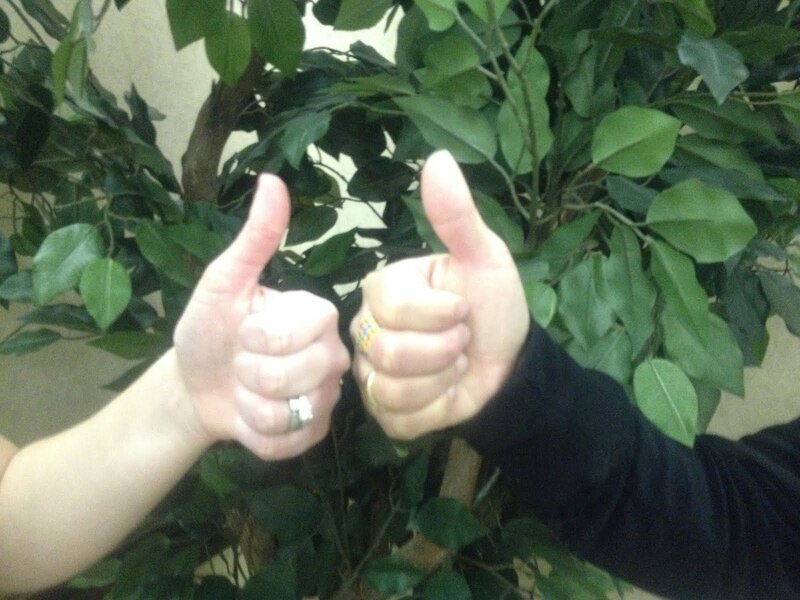 Plant those SEL seeds this month with our handshakes, cheers, brain breaks, songs, games and creative activities. Remember that HAPPINESS IS CONTAGIOUS! YOU can add the magic to these activities with your smile, enthusiasm, and energy! The world is turning GREEN this time of year. Here are some ways to celebrate the color with a poem, reading, math, science, and art. Do you see the color green, the color green, the color green? Do you see the color green somewhere in the room? Hint! 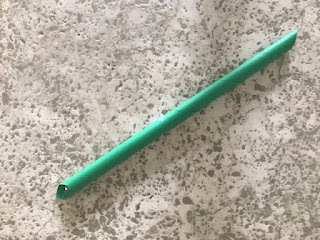 Cover a cardboard roller from a pants hanger with green paper to make a green pointer! Read the poem to the children one time. 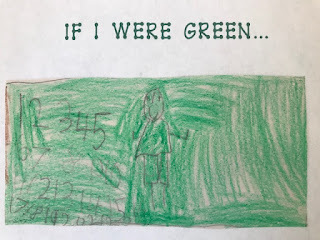 Ask them to recall the different objects in the poem that are green. Write their responses on the board. Read the poem a second time and see how many more objects they can remember. Read over the list together. 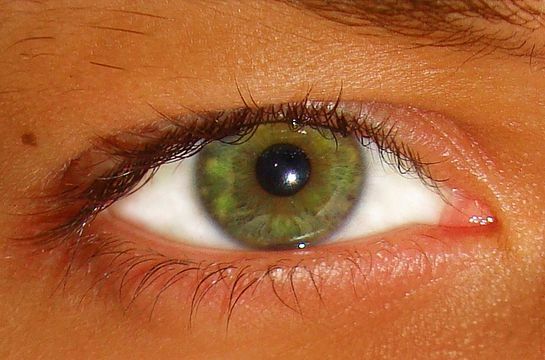 Have children close their eyes and pretend they are green. What are they? Write this sentence at the top of a sheet of paper and run off a copy for each child. “If I were green I would be ________.” (Younger children can dictate their responses, while older children complete their own sentences.) Put their papers together to make a class book. Pass a small mirror around the classroom. Encourage each child to look at their eyes and describe what color they are. Make a bar graph by cutting out eyes from construction paper. Let each child color in a section by the color of their eyes. What color do the most people have? What color do the least number have? Have children go home and look at their parents’ eyes. Are they the same color as their eyes? Ask the children to think about all of the things in nature that are green. Write their list on the board as they call out objects. 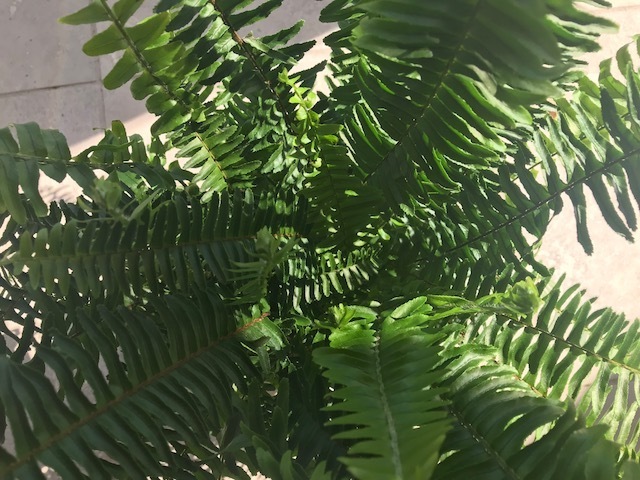 “Are all of these the same shade of green?” Take the class on a nature walk and have each child collect one “specimen” that is green. Bring their objects back in the classroom and compare. Are they all the same? Have children describe their differences. Can they sort the objects? Did they collect plants or animals? What animals are green? What time of year do you see the most green? Provide children with green paint, green crayons, green markers, and green paper. 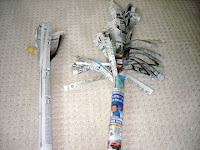 Invite children to create a “green collage” on a piece of cardboard or a paper plate. Give each child a heavy piece of paper. Write the word “green” on their paper with school glue. (An adult will need to do this for younger children.) Let each child take a spoonful of lime jello and sprinkle it over the glue. (Model how to shake it around and then dump off the excess.) After it dries, children can “scratch and sniff” the word green. 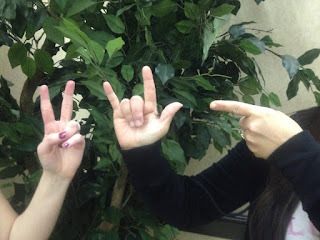 One of the easiest and best ways to engage children is to activate their fingers. Here are some great tips I found in blogs I posted about 4 years ago. 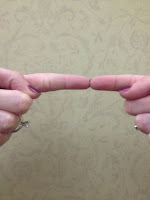 Demonstrate how to touch index fingers to show you’ve made a connection with a book. To keep children engaged as you read, invite them to touch their index fingers whenever they “connect” with the book. You can do this for your students and tell them to pass it on. Teach children how to self-regulate and focus with their magic triangle in their pocket. 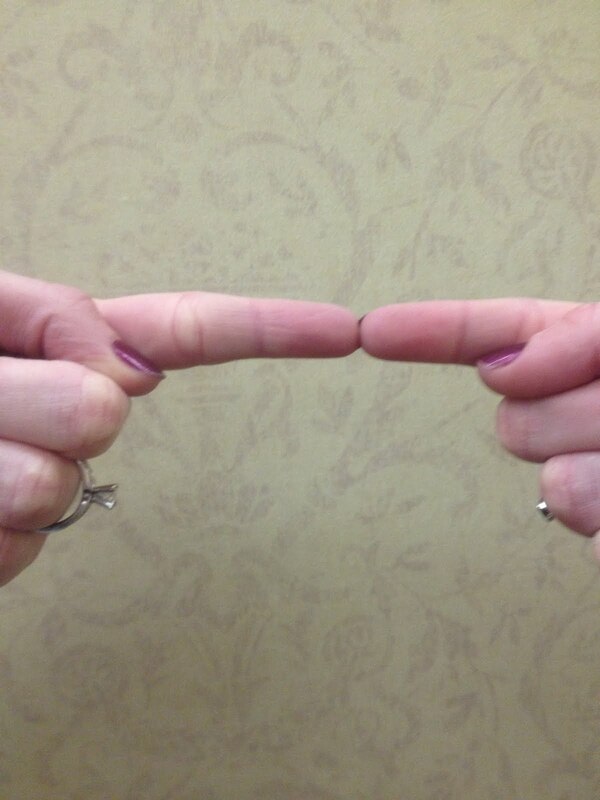 Place fingertips next to each other to form a triangle. When they need to calm down or if a child is upset have them take out their magic triangle and hold it in front of their mouth. Tell them to take a deep breath in through their nose, and then slowly blow through the triangle. Have students repeat positive comments as they stick up their thumbs. I am a good Citizen. 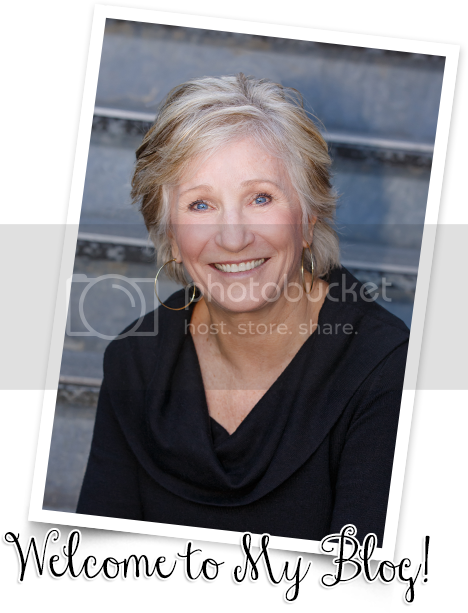 I was looking through some old blog posts this weekend and I found some fantastic ideas that are worth repeating! "Cluck, cluck" is definitely something that I would do! When several children come up to you at the same time wanting to ask a question or say something just start clucking like a chicken. The kids will probably look at you like you're going “nuts” and walk away. Then you can deal with them one at a time as you smile inside. Tag Along BookCut 2 sheets of copy paper and one sheet of construction paper in half. 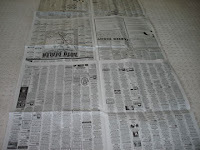 Place the white paper on top of the construction paper and fold in half. Punch 2 holes near the fold and attach a pipe cleaner handle and you’ve got a book that can “tag along” wherever you go! Make a flip book as shown. 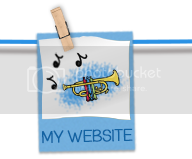 Draw an egg, tree, cave, or other animal home on the front flip. Open and draw a critter that you would find in that habitat. Hold up to the light to see your little critter in its home. 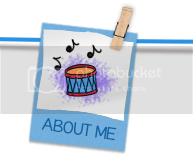 This idea will help you with students who have tons of stories or interjections. 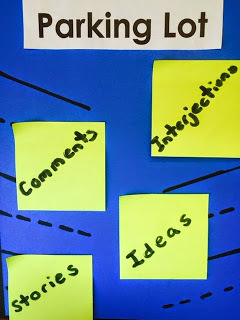 Create a parking lot from a poster for ideas, questions, and stories. Students write a word or phrase on a post it and put it in the parking lot to remind them. Come back to parking lot comments at the end of the lesson. To make sure kids are quiet while walking in the halls, have all the students make a certain motion. For example, they could tap their shoulders when walking. Tell what you liked (or learned) today. This time of year many of you are getting cranked up for and “end of the year” program. This can be frustrating, or it can be an exciting time for the children to sing and dance. My advice is “keep it simple.” The parents will be entertained and love whatever their children do. Here are a few ideas that might get you going! Yo A, it’s your birthday. Staple ovals to a strip of paper to make doggie headbands. 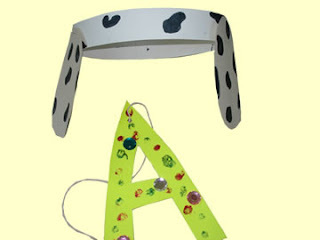 Let children decorate large cardboard letters with glitter and bling bling. 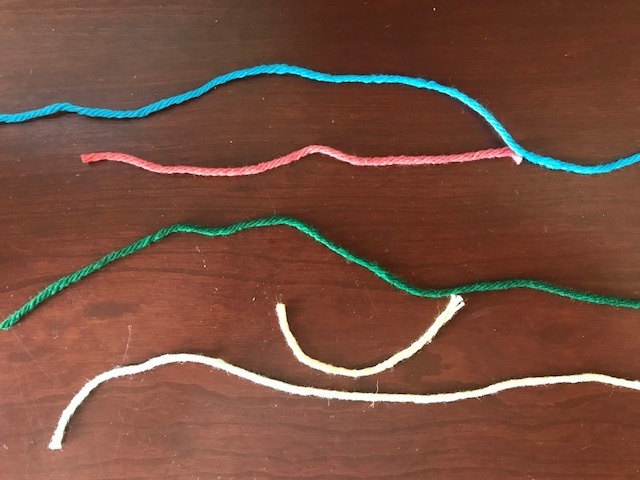 Punch a hole in the top and tie on a string to make rapper necklaces. Make a large doghouse to pin on the stage curtains. 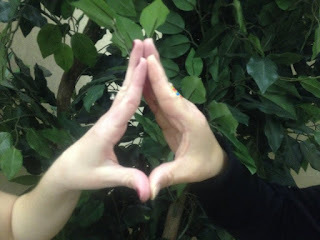 (Square with an arch cut out. Triangle roof.) As you sing the song children come out of the doghouse dancing and wearing their letters. 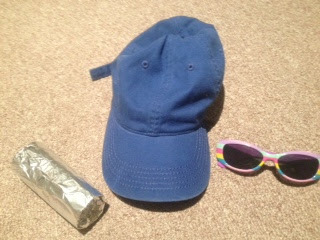 Let children wear glasses, caps, letter necklaces as they do this activity. Now I know my ABC’s. Now I know my ABC’s (blow). *Alphabet Party – Even if you don’t have to do a program for parents, it might be fun to do these songs for another class. Or, have an alphabet party just for your class! When school started we were a very hungry class eager to learn. In September we learned our rules -THE RULES RAP. In October we learned the days of the week – DAYS OF THE WEEK. November was when we said our letters and sounds – ALPHARDY. 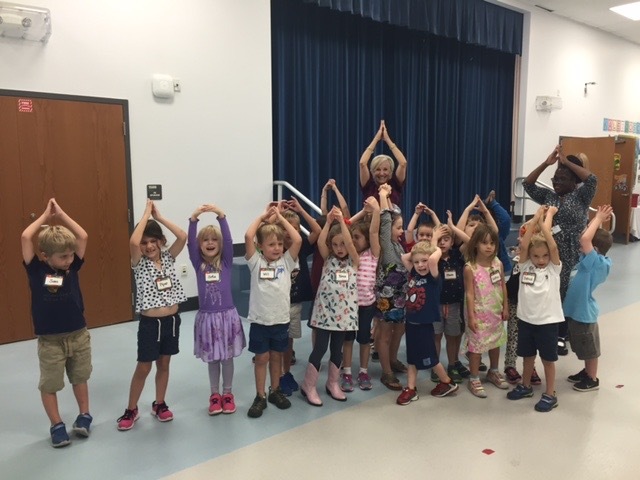 In December we learned the months in the year – MACARENA MONTHS. January was our Hundreds Day Celebration – ZERO THE HERO STOMP. 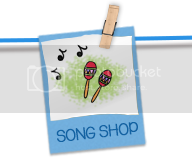 In February we learned about money – THE MONEY SONG. 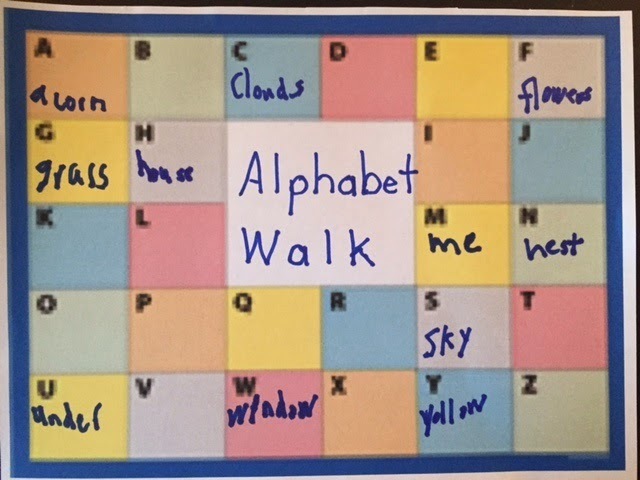 March was time to learn to spell – COLOR FARM. 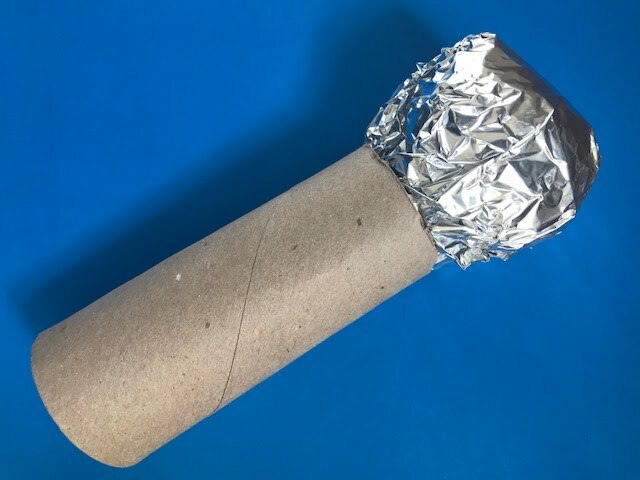 In April we learned to recycle – REDUCE, REUSE, RECYCLE. May was a time to study (plants, dinosaurs, caterpillars, or another song that reflects your standards). 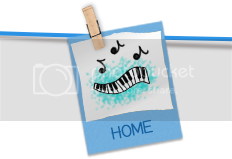 We’ll sing our favorite song for you. After writing and editing original stories, invite parents to a party where each child gets to share her book and read a few pages. Grrrr! Let's do the dinosaur boogie so the kids can growl, wiggle, and release all that energy. Jumping up and down is a great way to get oxygen going to the brain and as the children dance they will be developing motor skills and self-regulation. Have you got any popcorn trees where you live? Popcorn popping on my cherry tree. Trace around children’s hand and arm on a sheet of paper. Let them color or paint it. Glue popcorn on the branches to look like blossoms. Go outside and collect petals and leaves that have fallen to the ground. (It's very important to remind child to never pull things off plants because it might hurt them!) Lay out a 7" strip of clear packaging tape for each child. They arrange their leaves and petals and then place another piece of tape on top. Seal, trim the ends, and you'll have a spring bookmark. *Hint! 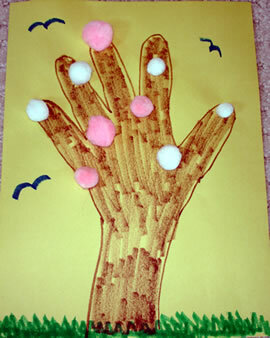 Give children a clipboard and let them draw their favorite tree. Encourage them to write sentences describing their tree. Spring brings butterflies, as well as bugs and insects. You might not be crazy about bugs, but I bet your kids will go "crazy" learning about them in this FREE packet that Carolyn Kisloski and I created for you! Some things never lose their magic (fortunately) like the life cycle of caterpillars to butterflies! Here are two life cycle projects that take a little time and effort, but they are something your students never will forget. Directions: Look on the playground for sticks or have children bring one from home. The stick should be as long as their foot. Have them glue a piece of rice on the left end of their stick to represent the caterpillar's "egg." Next, glue on a corkscrew pasta for the "caterpillar." Glue a seashell pasta on next for the "chrysalis." 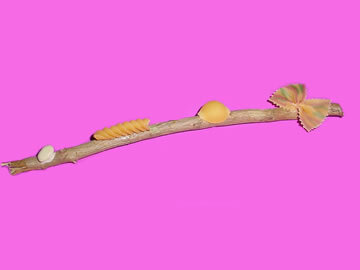 Finally, glue a bowtie pasta on the red end of the stick for the "butterfly." (They might want to color the pasta with markers before gluing it in place.) Encourage children to describe the life cycle of the butterfly using their stick. Hint! You could also use a bean for the egg, fuzzy yarn for the caterpillar, cotton ball for the chrysalis, and tissue paper for the butterfly. 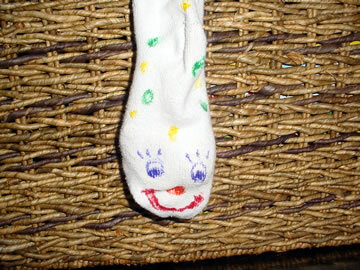 Directions: Several days before doing this activity ask children to bring in an old sock from home. 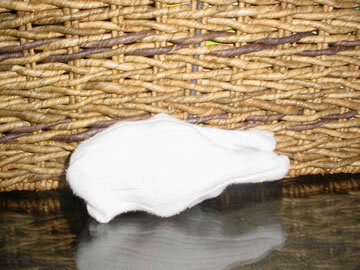 First, let them decorate the outside of the sock to look like a caterpillar. They can use markers, pompoms, etc. Next, prepare a butterfly using a coffee filter. Children fold the coffee filter into eighths. Using an eye dropper, have them drop colored water onto the coffee filter. Open and dry. Scrunch up in the middle and fasten on a pipe cleaner for the body and antenna. Turn the sock inside out and pin the butterfly inside. Children can begin the story about the butterfly by inserting their hand into the sock. 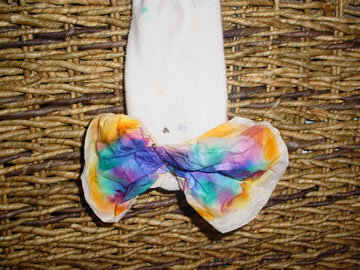 For the "chrysalis," have them begin turning the sock inside out. As the butterfly emerges, the children stick their hand in the sock to reveal the butterfly. Children will enjoy assembling and eating this butterfly. You will need celery cut in 4" pieces, cream cheese, and pretzel twists. First, spread cream cheese in the hollow part of the celery. Insert two pretzels on either side for wings. Learning to recognize and label plants, insects, and other objects they study about is a good way to integrate writing and science. With this song learning the parts of a flower will be much easier. Children will also be amazed about the parts of a flower that they eat! 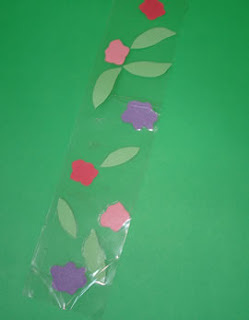 Make a flip book where children can label the parts of a flower. To make a flip book fold a sheet of paper into eighths. 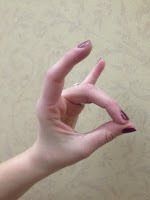 Open and fold in half. Cut down the three creased lines to the middle to make flips. Turn vertically as shown. 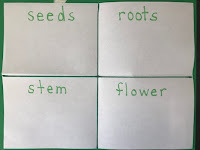 Write “Flower," "Stem," "Leaves," "Roots” on the four sections from the top to the bottom. Open and draw the appropriate part of the plant under each label. Don’t forget to draw the seed! Discuss what parts of a plant you eat. What roots do you eat? What leaves? What stems? What flowers? What seeds? 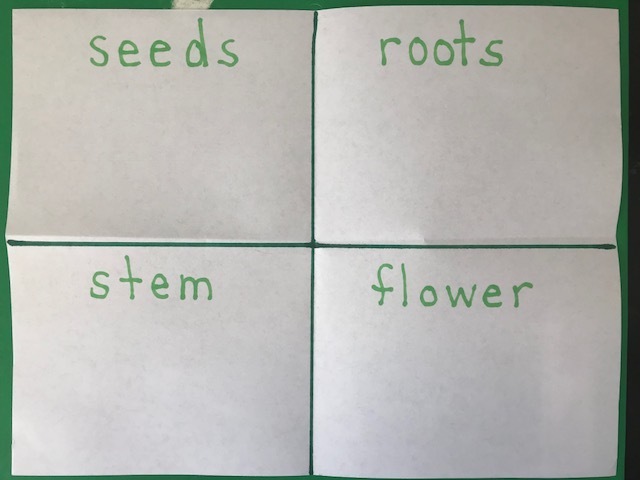 *Divide a sheet of paper into fourths and label, “seeds,” “roots,” “stems,” “flowers.” Have children write or draw different foods they eat from each category. Yeah, I know this isn't very healthy, but I'm sure somebody out there would like to do it at home or summer camp. 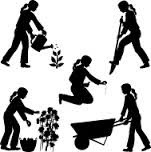 Spring is in the air and it's time to do a little planting! Have children hunt for seeds in their kitchen at home. Bring these in and plant them in plastic cups filled with potting soil. Be sure to label. Water and watch. Popcorn, sunflower seeds, pickles, and strawberries! What do they call have in common? They could all be part of a seedy snack. Let the children brainstorm all the things they eat that have seeds. 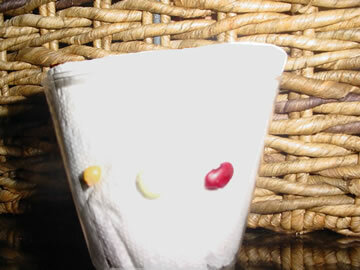 Have children brainstorm other things they would like to plant, such as jelly beans or pennies. Plant in plastic cups with the jelly beans and pennies between the cup and the soil so the children can observe what happens. Purchase carrot seeds, radishes, and other vegetable seeds that germinate quickly and plant. Water, set in a sunny window, and have the children record the plant growth. *Transfer to your school garden or a container garden when the plants are several inches high. My kids always loved to watch me make this newspaper tree. Open three sheets of newspaper and lay on the floor as shown. Roll up and tape. Cut down several strips from the top about 8” long. Reach into the middle of the roll, grab the center, and slowly pull up. Tae daa! The sun is shining so let's go outside and learn! 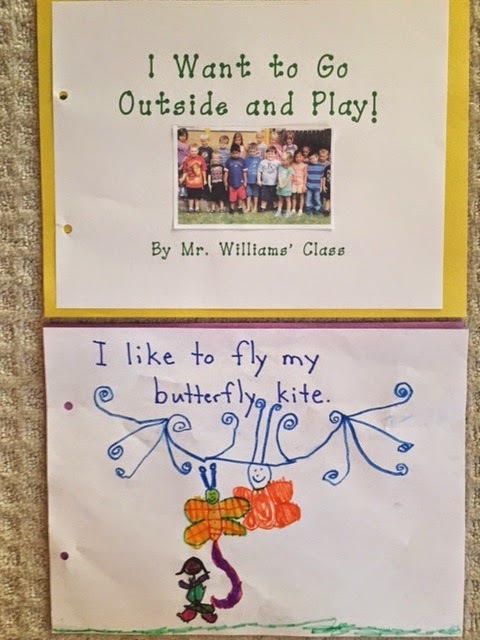 Give each child a sheet of paper and ask them to draw a picture of why they like to go outside. Ask them to write (or dictate) a sentence about their drawing. Make a cover that says, “I Want to Go Out and Play.” Put their pages together, hole punch, and insert book rings. Divide children into groups of four and give each group a sheet of paper with the letters of the alphabet. (They will also need a pencil and a clipboard to write on.) Challenge groups to find as many objects as they can for the letters in the alphabet. For example: A-acorn, B-bird, C-cloud, D-dirt, etc. 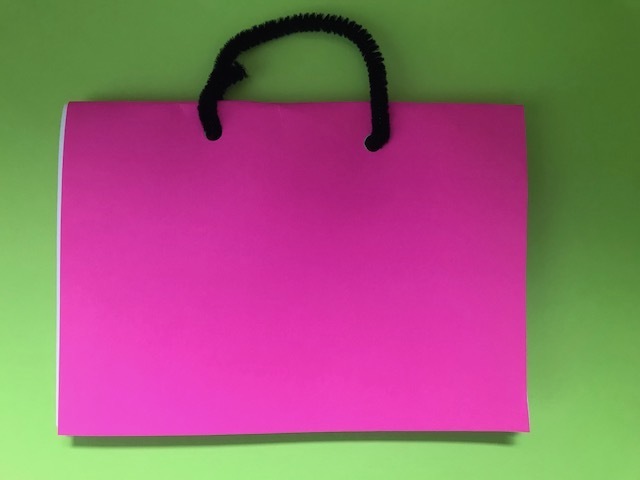 Cut circles, squares, rectangles, and triangles out of construction paper and put them in a bag. Children choose a shape and then try to match it up with a similar shape on the playground. *Have children lie on the ground and make shapes with their bodies. 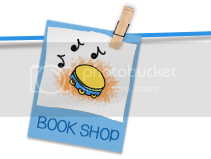 Take photos to make a class book. How many times can they bounce a ball and catch it? How many times can they toss a ball with a friend and not drop it? *Have each child silently count the steps from the classroom to the playground. Compare their answers. P.S. 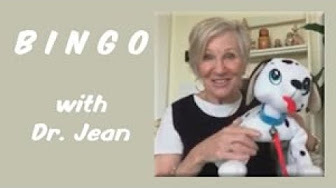 If it's raining where you are today I've got a new "Just for Kids" video where I sing about Bingo and do a tell and draw story. 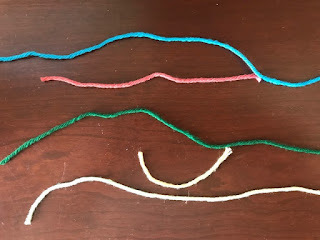 Here's a "Spring Pencil Walk" that I hope your children will enjoy this week. Story symbols can help children develop top to bottom and left-to-right orientation. They’re also an engaging way to develop small motor skills. These stories should be told multiple times so children can practice the pre-writing strokes and feel more competent. You might want to do the same story every day for a week as you invite the children to recall what will come next. *Make a tape of the story to put in a listening center. Hint! Demonstrate these stories on the board or a large chart so children will be able to copy what you do on white boards or clip boards. Let’s put a green dot at the top of the page to show us where to start. And let’s put a red dot down here at the bottom to show where our story will stop. Pick up your pencil and let’s use it to tell a story. It’s a beautiful spring day, so let’s go for a walk. The grass is growing nice and tall. The clouds are rolling around. The insects buzz up and down. The little rabbits hop around. The kites are flying in the air. All of a sudden, the wind starts to blow. The wind is blowing in every direction. Better run home as fast as we can! Here's another story about a walk in the zoo. Can you guess what the different symbols represent? HUMPTY DUMPTY - JUST FOR KIDS!